According to a recent study by the Ponemon Institute, nearly 70% of small to medium-sized businesses have experienced a cyber attack. Trying to stay one step ahead of cyber criminals can seem like a daunting task. But when you’re armed with the proper knowledge and tools, you can effectively protect your organization from falling victim to cyber attacks. 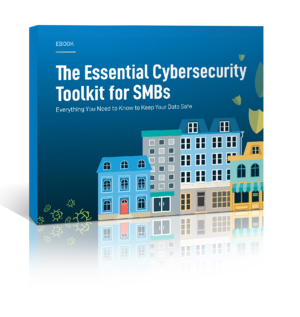 We’ve created this simple toolkit that will show you exactly what you need to do to improve security and protect your most critical business assets. Download the Essential Cybersecurity Toolkit by filling out the form to your right. Where should we send the download?